If you haven't read Diane Ravitch today, it's time. She's calling for the resignation of NYS Education Commissioner Reformy John King. Ravitch is a voice in the education wilderness demanding we base decisions on research and practice. This flies in the face of common practice, which is to do whatever the hell Bill Gates wants and hope for the best. He has imposed an evaluation scheme that no one understands, but which he famously described as “building a plane in mid-air.” He doesn’t realize that no one wants to ride on a plane that is being built in mid-air—not students, not teachers, not principals, not parents, not superintendents. Not anyone with the remotest instinct for survival, when you get right down to it. But Reformy John is not about supporting the system. He's all about giving it away to his charter BFFs who got him the gig in the first place. This should be obvious to anyone observing the debacle that is the Common Core tests. John King is the guy who singlehandedly imposed the insane system that will cause city teachers to be fired based on test scores. Of course, our union is complicit in this, as we took part in negotiations to enact the preposterous law that enabled it. Nonetheless, why isn't Reformy John judged by the scores of the very test he imposed? If we are to judge teachers and principals by the rise or fall of student test scores, as King wishes, then so too should he be judged. I don't personally favor such a system, but Reformy John certainly does. Isn't accountability one of the reformiest things there is? On that basis alone, it's time to fall on the reformy sword being used against teachers. After all, Reformy John was a teacher for a few minutes. Let the NY State Board of Regents know it's time to stand with science. We are teachers, and ought not to be tossing our lot in with climate change deniers and flat earthers. 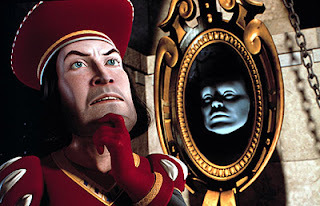 It's not good enough for us, our kids, or our state to have an educational leader who makes decisions by consulting his magic mirror.